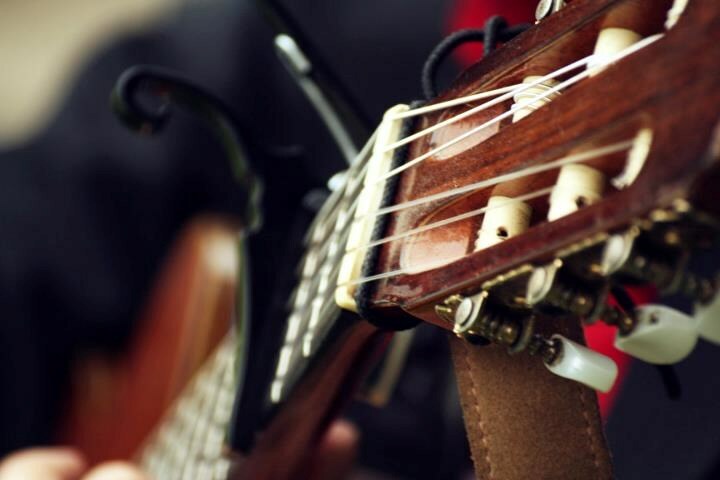 Mahadev Productions features Indian classical music, world music ensemble and solo classical guitar. 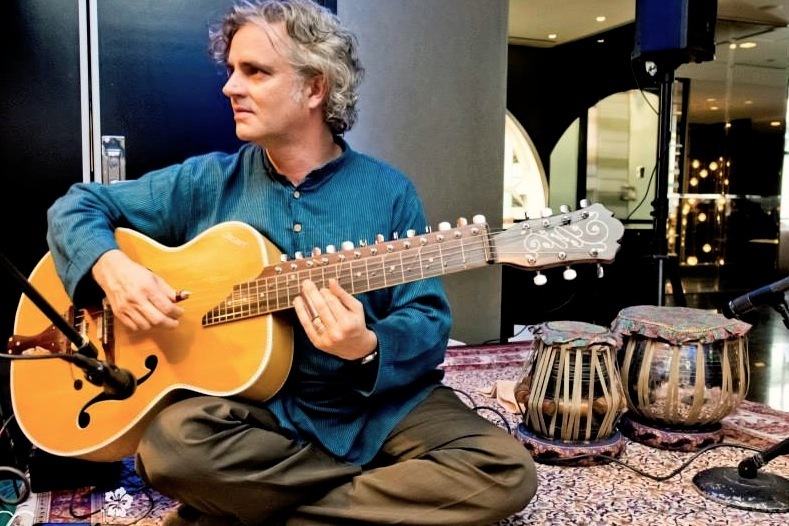 Mahadev Productions features award winning guitarist Dave Cipriani on Indian slide guitar and seven-string classical guitar, available solo or in groups of up to seven members in size. 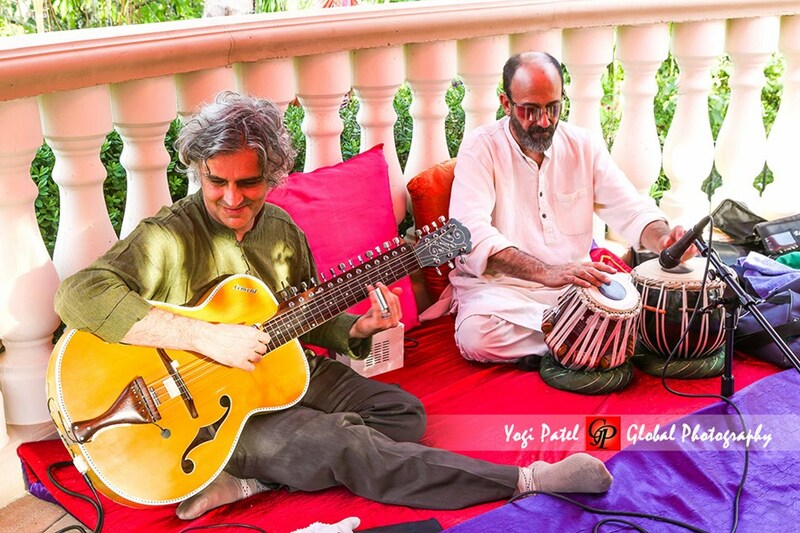 For a more unusual and captivating live music experience for your event, Mahadev can boast an eclectic repertoire, from West and North African accents to North Indian classical music, Irish pieces arranged for solo guitar, jazz classics, Classical/Spanish guitar and further eclectic blends of music. The repertoire includes classical/Spanish/renaissance music, Celtic/Irish solo guitar arrangements, jazz standards, gypsy/Balkan, folk/fingerpickin' and African music. Other instruments and combinations may be available upon request depending on availability of musicians. Dave was awesome! Very talented musician and a very nice guy. He was flexible and accommodating and the music was fantastic!! I love using GigMasters. It gives me the ability to find musicians for our events. Every time the musicians have been wonderful and so very talented. Dave was as well. He played beautifully and was specifically mentioned by our guests. Dave was terrific. Everyone at our event commented on what a perfect compliment Dave provided to a beautiful wedding and venue... He complied with all my requests and his abilities and range far exceeded the needs of our gathering. I'm confident anyone who hires Dave will be very happy with the results. He was prompt, professional, and the sound was excellent. Dave was the perfect addition to my daughters wedding. He was so easy to work with and eager to be helpful. I was thrilled that he had such a great singing voice. He has a wonderful range from contemporary to classical. Bottom line...he was the best choice we made for adding that special touch on the big day! Dave was great. He was very professional and really created the ambiance for our event. Many of our guests actually commented on how much they liked the music and said they would recommend Dave to anyone needing a guitar player. Please note Dave Cipriani will also travel to Oak View, Santa Paula, Ventura, Carpinteria, Oxnard, Camarillo, Fillmore, Somis, Piru, Port Hueneme, Port Hueneme Cbc Base, Summerland, Santa Barbara, Moorpark, Point Mugu Nawc, Newbury Park, Thousand Oaks, Frazier Park, Simi Valley, Westlake Village.